Baker Street tube station at the junction of Baker Street and Marylebone Road on the London Underground is one of the world’s oldest surviving underground stations. The station, served by five different lines, is one of the original stations of the Metropolitan Railway (MR), the world’s first underground railway, opened in 1863. I was through Baker station twice yesterday [19 September 2018] on my way to a meeting of the trustees of the Anglican mission agency USPG (United Society Partners in the Gospel) at Methodist Church House, on Marylebone Road in the City of Westminster. Baker Street is named after the builder William Baker, who laid out the street in the 18th century. 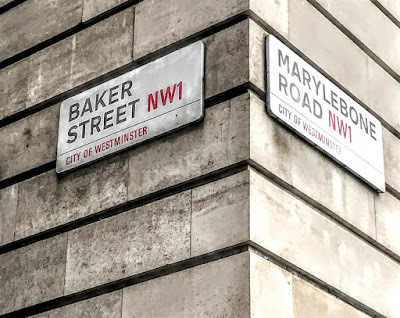 The street is famous both for Gerry Rafferty’s hit single ‘Baker Street,’ recorded 40 years ago in 1978, and because Sir Arthur Conan Doyle would have us believe Sherlock Holmes and Dr John Watson once lived at 221B Baker Street. The area was originally a comfortable, middle-class residential area, but today Baker Street is a busy street mainly occupied by commercial premises. 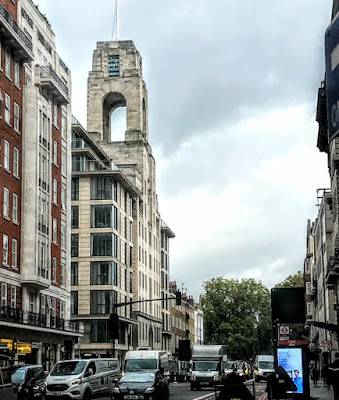 Baker Street runs south from Regent’s Park, the junction with Park Road, parallel to Gloucester Place, meeting Marylebone Road, Portman Square and Wigmore Street. 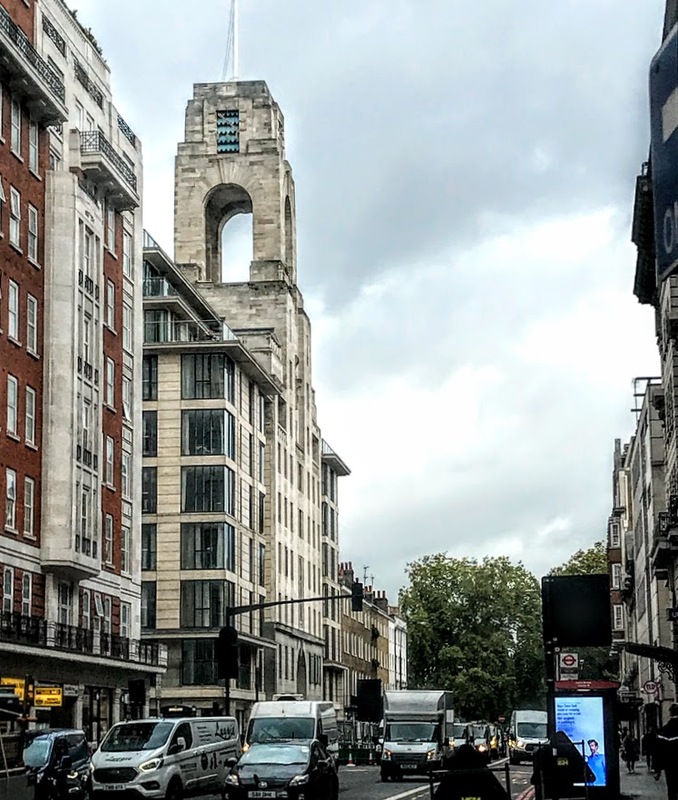 At the junction with Wigmore Street, Baker Street turns into Orchard Street, which ends when it meets with Oxford Street. Baker Street station has entrances on Baker Street, Marylebone Road and Chiltern Street. The nearby attractions include Regent’s Park, Lord’s Cricket Ground, the Sherlock Holmes Museum and Madame Tussauds, and the Marylebone campus of Westminster University is across the road from the station. 1, The Circle Line station: Located west to east beneath Marylebone Road, roughly between Upper Baker Street and Allsop Place, this station was a part of the original Metropolitan Railway line from Bishop’s Road to Farringdon Street, opening with it on 10 January 1863. 2, The station once referred to by the Metropolitan Railway as Baker Street East station: The platforms serving the Metropolitan Main Line north to Harrow and beyond, which are located within the triangle formed by Marylebone Road, Upper Baker Street and Allsop Place, following the alignment of Allsop Place. This station was opened 150 years ago on 13 April 1868 by the Metropolitan and St John’s Wood Railway, which was absorbed by the Metropolitan Railway. 3, The deep-level tube station of the Baker Street and Waterloo Railway: this is at a lower level beneath the site of Baker Street East, and opened on 10 March 1906. With 10 platforms in all, Baker Street has the most London Underground platforms of any station on the network. All this means the station layout is complex and can be difficult to use for people like me who are colour blind and find it difficult to manoeuvre through the colour coding for the different lines that pass through Baker Street. But the staff were helpful yesterday as I found my way between Baker Street and Liverpool Street on my way to and from Stansted Airport. 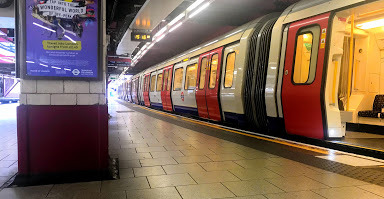 The Bakerloo line has its origins in the failed projects of the pneumatic 1865 Waterloo and Whitehall Railway and the 1882 Charing Cross and Waterloo Electric Railway. Originally a project of the Baker Street & Waterloo Railway, the line was built by the Underground Electric Railways Company of London (UERL) and opened between Baker Street and Lambeth North, then called Kennington Road) on 10 March 1906. The line was extended to Elephant and Castle five months later, on 5 August. The contraction of the name to Bakerloo rapidly caught on, and the official name was changed to match in July 1906. 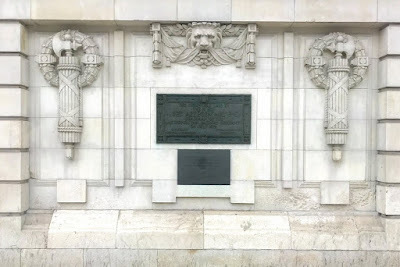 When work on the line started in June 1898, it had been financed by the mining entrepreneur and company promoter Whitaker Wright, who fell foul of the law over the financial proceedings involved and dramatically completed suicide at the Royal Courts of Justice, after being convicted in 1904. As a result, work on the line was stopped for a few months and did not resume until Charles Yerkes and UERL stepped in and took over the project. By 1913, the Metropolitan line had been extended from its original northern terminus at Baker Street to the west with interchange stations with the Great Central Railway at Marylebone and the Great Western Railway at Paddington, and a new station at Edgware Road. By the mid-1930s, the Metropolitan line was suffering from congestion caused by the limited capacity of its tracks between Baker Street and Finchley Road. To relieve this pressure, the network-wide New Works Programme (1935-1940) included building new sections of tunnel between the Bakerloo line’s platforms at Baker Street and Finchley Road and replacing three Metropolitan line stations – Lord’s, Marlborough Road and Swiss Cottage – between those points with two new Bakerloo stations at St John’s Wood and Swiss Cottage. The Bakerloo line also took over the Metropolitan line’s service to Stanmore in 1939. The branch remained part of the Bakerloo line until 1979, when congestion problems on the Bakerloo line led to opening the Jubilee line. 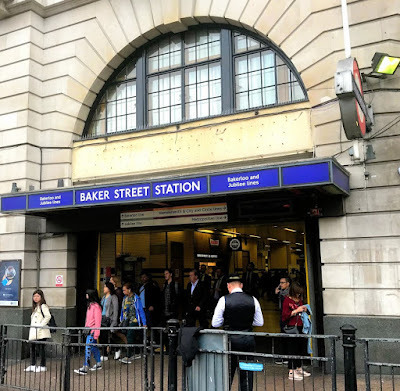 Restoration work in the 1980s on the oldest portions of Baker Street station brought it back to something similar to its 1863 appearance, so that today Baker Street brings together modern travel and Victorian vision. 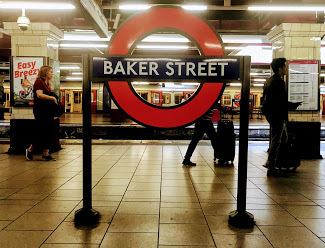 I have passed by Baker Street in London many times, and I have been on the Bakerloo Line, but finding my way along Baker Street yesterday [19 September 2018] on my way to and from the meeting of USPG trustees left the tune of ‘Baker Street’ in my head for the rest of the day. ‘Baker Street’ is the most popular song written and recorded by the Scottish singer-songwriter Gerry Rafferty. It was released as a single in 1978, and the arrangement is still known 40 years later for its saxophone riff. It hit No 3 in the United Kingdom in 1978, held the No 2 spot on the Billboard Hot 100 for six weeks, and it was also a No 1 hit in Canada, Australia, and South Africa. Gerry Rafferty also received the Ivor Novello Award for the Best Song Musically and Lyrically that year for ‘Baker Street.’ In 2010, the song was recognised by BMI for surpassing five million performances worldwide, and it was awarded Gold Certification twice, in 1978 and in 2013, by the BPI. Gerry Rafferty (1947-2011) was a Scottish singer-songwriter and is known not only for ‘Baker Street,’ but also for ‘Right Down the Line’ and ‘Night Owl,’ as well as ‘Stuck in the Middle with You,’ recorded with the band Stealers Wheel. He was born into a working-class family of Irish origins in Paisley, Renfrewshire. His mother taught him both Irish and Scottish folk songs as a boy, and later he was influenced by the music of the Beatles and Bob Dylan. In 1978, he recorded his second solo album, City to City, which included ‘Baker Street,’ which became his most popular song. City to City was his first release after he had resolved legal problems created by the break-up of Stealers Wheel in 1975. In the three years in-between, he was unable to release any material because of disputes over the band’s recording contracts. Rafferty wrote ‘Baker Street’ during a time when he was trying to free himself from those Stealers Wheel contracts. 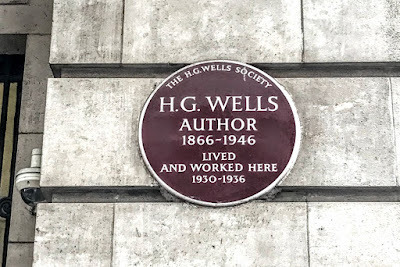 He travelled regularly between his family home in Paisley and London, where he often stayed at a friend’s flat on Baker Street. 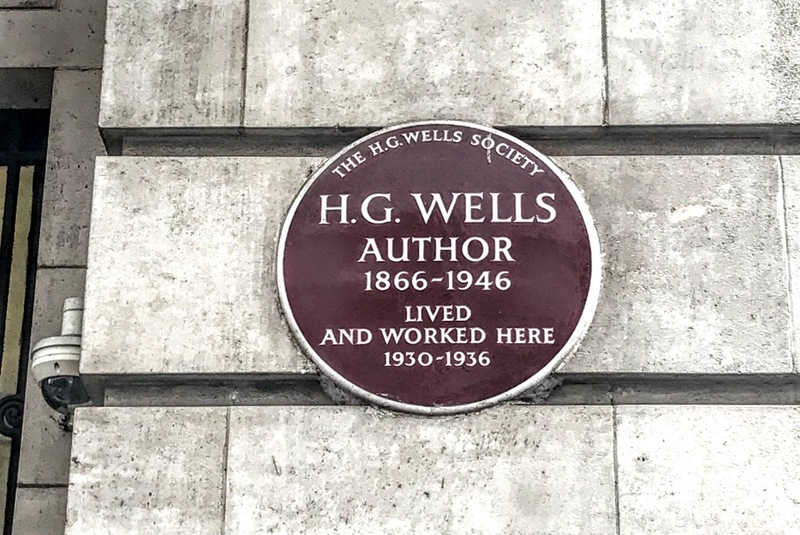 Other famous writers and composers had lived on Baker Street earlier in the 20th century, including HG Wells and Eric Coates, and Sir Arthur Conan Doyle would have us believe Sherlock Holmes and Dr Watson also lived on Baker Street. ‘Baker Street Muse’ is a song on Jethro Tull’s album Minstrel in the Gallery, released in 1975, three years earlier that Gerry Rafferty’s ‘Baker Street,’ and Baker Street is frequently mentioned in the lyrics of Jethro Tull songs. You’re going, you’re going home. Rafferty’s daughter Martha has said that the song was also inspired by the book he was reading at the time, The Outsider (1956) by Colin Wilson (1931-2013). As he was travelling between Glasgow and London, Rafferty was reading this book, which explores ideas of alienation and of creativity, born out of a longing to be connected. The album City to City (1978) was co-produced by Rafferty and Hugh Murphy. In addition to a guitar solo, played by Hugh Burns, ‘Baker Street’ features a prominent eight-bar saxophone riff played by Raphael Ravenscroft as a break between verses. Ravenscroft recorded the break using the alto saxophone he had in his car. The part led to what became known as ‘the Baker Street phenomenon’ – a resurgence in the sales of saxophones and their use in mainstream pop music and television advertising. Ravenscroft has said recently he thinks the solo is out of tune. He adds that he was not able to re-record the take because he was not involved when the song was mixed. According to one story, Ravenscroft received no payment for a song that went on to earn Rafferty £80,000 a year. A £27 cheque given to Ravenscroft bounced and was framed and hung on his solicitor’s wall. However, story of the bouncing cheque was denied by Ravenscroft in a BBC interview in 2012.